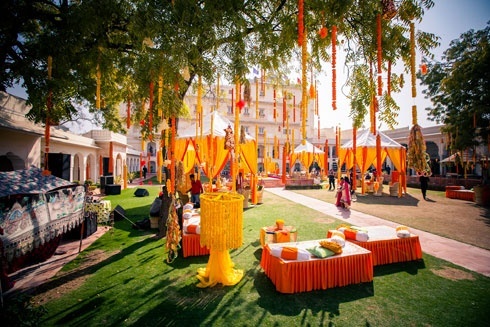 One vibrant image that keeps recurring in most Indian wedding songs unmistakably features an enthusiastic would-be bride, sitting prostrate with exposed body parts, smeared in a paste of dazzling yellow color – haldi. 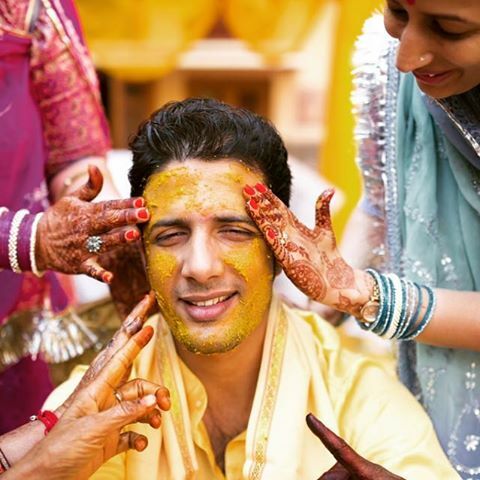 The traditional ritual of haldi ceremony serves as a pious prelude to a Hindu marriage, involving the application of a generous amount of turmeric on the bride and the groom’s body by respective family members. The ritual, known variously as “gaye holud,” “ubtan,” “mandha,” “pithi,” or “tel ban” in different regions of India, generally takes place either on the big day, or a day after the mehendi ritual. Invitation cards are also sent to unmarried friends of a bride or groom to add vibrancy to the function. It is believed in Hindu culture, that haldi was put on Lord Shiva and his wife Parvati, to lessen their rage and make them look pretty. With the passage of time, it came to be observed as an important ritual, occurring before a wedding ceremony of different communities. But why is the spice invested so much value such that an entire ritual is dedicated to it? Let’s find out. 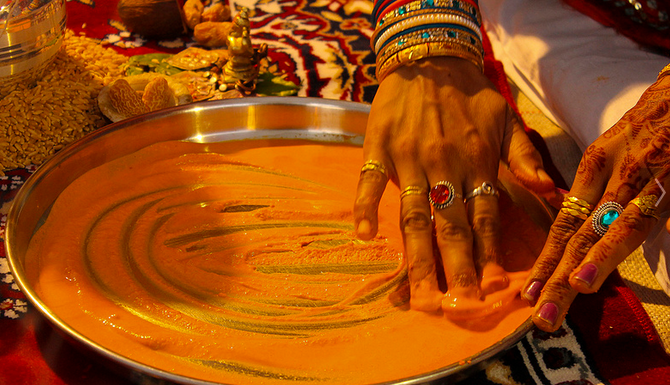 In warding off evil spirits: Indian religious beliefs firmly hold that haldi endows a couple with a protective charm or shield that aids in keeping at bay all foul omens. Consequently, the bride and groom are instructed to solemnly remain within their own respective domestic bounds till the sacred day arrives. The color of purification: A marriage signifies a new beginning, much like unfastening the key to a lifetime of experiences, to be shared together, both in rain and sunshine. 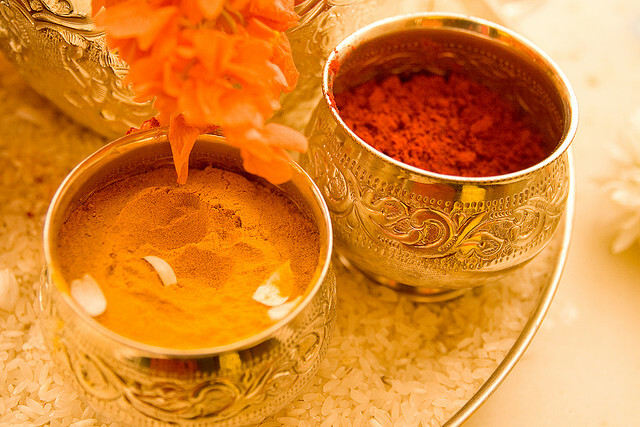 Haldi, appearing in a bright yellow hue, has long been hailed for its cleansing powers, thus proving to be the appropriate substance in bestowing a couple with purity, very much relevant for the new sojourn together. 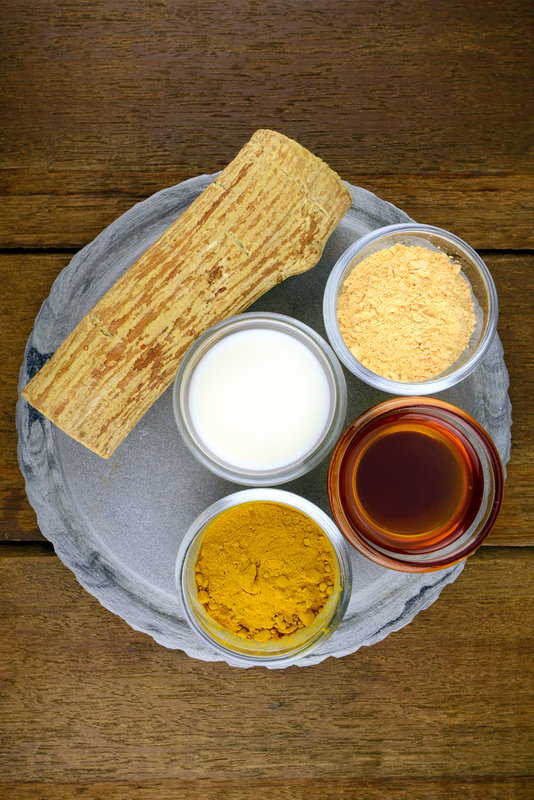 In bestowing a glowing skin: It is the unanimous craving of every bride to look resplendent on her sacred day and haldi, being an effective antiseptic, competently allows her to attain that impeccability. Besides detoxifying the body, it functions as an excellent exfoliating agent by getting rid of dead skin cells. In driving off pre-marriage nervousness: Having butterflies in the stomach, a day prior to one’s wedding ceremony is rather normal. What, with multiple emotions crowding the mind, it is but obvious for a groom or a bride to feel shivery from within. But hold on, take a backseat. 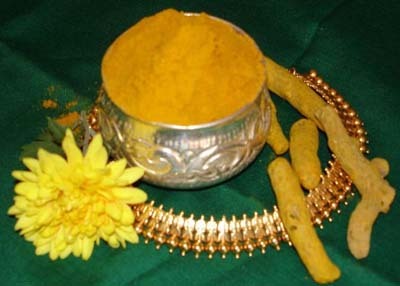 Haldi, the wonder drug, comes loaded with the antioxidant, curcumin that being a mild antidepressant, not only drives away all traces of uneasiness but cures a headache too, thereby aiding both the bride and groom to feel relaxed and peaceful. Preparation: All these are mixed in a bowl and applied on the face, neck, hands and legs of both a bride and a groom either with bare hands or by means of mango leaves. The bride generally adorns herself with metal or floral jewelry, but keeps her dress and makeup simple, so that even if the attire gets colored by the paste, it does not matter. The ritual, taking place either at home or outside, invariably involves the joyous singing and dancing of family members and friends, whose enthusiastic participation is a powerful testament to an inexhaustible Indian spirit and unlimited bliss in celebrating together. After much revelry, everyone from exhausted dancers to the timid bride or groom gets involved in relishing sumptuous food, an unfailing part of every Indian celebration. The Haldi function, besides endowing a bride or a groom, with an occasion of enjoying manifold benefits of the spice, presents an opportunity for near and dear ones, living far or near, to come under one roof, rejoice to one’s heart’s content and create memories for life.